Built as high speed craft, the PTF "Trumpy Boats" were powered by two Napier Deltic 3100 horsepower diesel engines. They were able to travel at speeds up to 40 knots. Their mission was patrol and surveillance of coastal and inland waters. They were employed for this purpose in Vietnam. 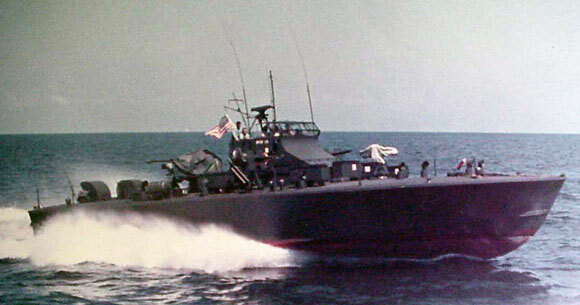 Immediately prior to her decommissioning, PTF-17 was homeported at Little Creek, Virginia. She was assigned to Coastal River Division 21 which was headquartered at Great Lakes Naval Base near Chicago. 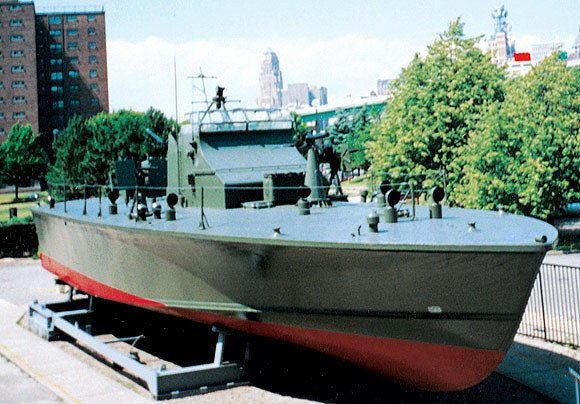 PTF-17 arrived at the Buffalo and Erie County Naval and Military Park in 1979. The tank landing ship USS Fairfax County was visiting Great Lakes cities on a goodwill cruise in August 1979, and carried her from Norfolk to Buffalo.